Central Statistics Agency. Ethiopian Demographic Health Survey (EDHS), key indicators report. Addis Ababa, Ethiopia; 2016. p. 14. https://dhsprogram.com/pubs/pdf/FR328/FR328.pdf. EMA. The Ethiopian midwives association website. 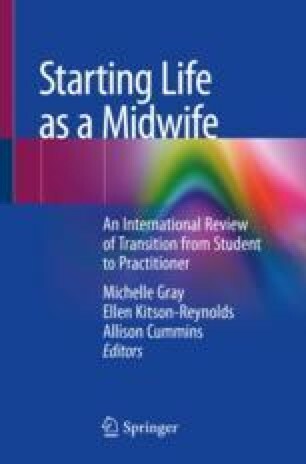 2018. http://midwives.org.et/membership. FMoH & UNFPA. Investing in Midwives: stories from Ethiopia. 2014. p. 48–9. https://ethiopia.unfpa.org/sites/default/files/pub-pdf/UNFPA%20Booklet_Midwifery.pdf. Monteiro A, Thukwana N. IMF sees Ethiopia beating Ghana as fastest-growing Africa economy. Bloomberg, April 17, 2018, 4:00 PM GMT+3 Updated on April 18, 2018, 2:30 PM GMT+3. https://www.bloomberg.com/news/articles/2018-04-17/ethiopia-pips-ghana-as-africa-s-fastest-growing-economy-for-imf. Russon B, Andemariam M, Haile T. History and trends of nursing in Eritrea, Historical record, p. 39, viewed 17th August 2012; 2006. http://www.dundee.ac.uk/medden/dlc/Documents/Eritrea.pdf. UNFPA. World population dashboard. Ethiopia. 2017. https://www.unfpa.org/data/world-population/ET. Retrieved 28 Jul 2018. UN, Worldometer. Ethiopian population live, elaboration of data by United Nations. Department of Economic and Social Affairs, Population Division. World Population Prospects: The 2017 revision. (Medium-fertility variant) April 6, 2018, 1.30 pm. http://www.worldometers.info/world-population/ethiopia-population/.